Quaker Instant Oatmeal, Apples & Cinnamon, Breakfast Cereal – 4 Boxes Only $8.04 Shipped! Here is a great price to stock up on Quaker Instant Oatmeal! 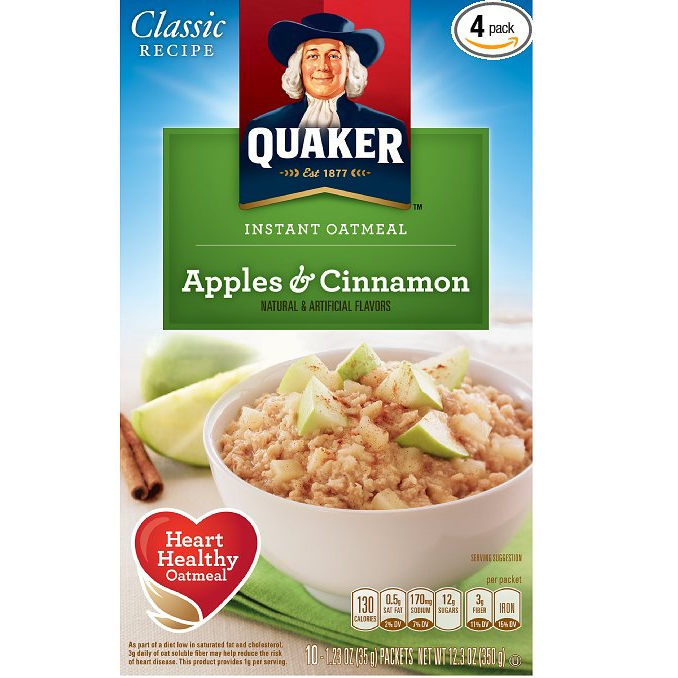 Amazon has Quaker Instant Oatmeal, Apples & Cinnamon, Breakfast Cereal, 10-(1.51oz) Packets Per Box (Pack of 4) for only $8.04 shipped when you clip the 15% off coupon and purchase it using the subscribe and save option. That’s only $2.01 per box and cheaper than what you would typically find at the stores.